Here at LeelineSouring, we do not offer a one-size-fits-all solution; Our services will be tailor-made to suit your exact sourcing needs in China. Sourcing and importing products from China is quite easy nowadays. But some business importers always feel hard to find the right suppliers with good price & quality, when facing 1,000+ suppliers for same product in Canton fair and Alibaba. 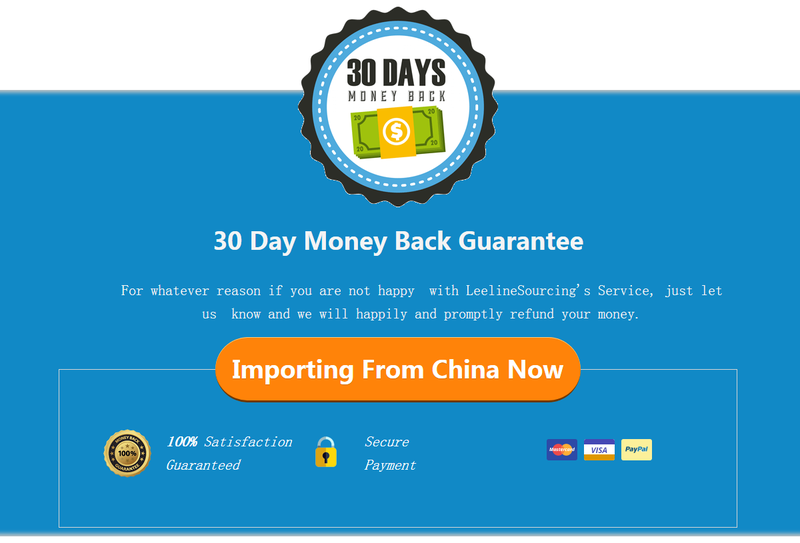 Leelinesourcing offers free sourcing service for small and medium importers. And offer sourcing agent for big importers .Customers only need to pay as low as 4% service fee in the last payment of orders, and they will get extra free service like quality inspection, warehousing and manage shipping.Please check below are our service procedures. You can contact us via [email protected] or join our online-chatting, our “1 on 1” customer service starts when we get your request with details of products you need. Your assigned customer representative will contact you within 8 hours and he/she is responsible for your sourcing till you get the products. Brand is essential to E-Commerce business; we will negotiate for a lower MOQ or contact a packaging company, designer or silk screener and arrange for custom logos to be added to your products if your products don’t meet the MOQ of customization. We can label your products, affix FNSKU stickers and manage shipping directly to Amazon warehouse at very low cost. Besides, you can use our warehouse in Yiwu and Shenzhen 30days for free so that you can collect more items to lower the shipping fee. High quality photo is a must for online business; you will get professional photos on your listing if work with us. Contact us to see the photos we taken for customers.